Being a well established organization, we bring forth an excellent assortment of Threaded Tee. Our offered tee is extensively appreciated by our prominent clients for its precise design and easy installation. It can also be availed in different sizes, designs and other related specifications. Taking quality as our prime concern, we are engaged in manufacturing, exporting and supplying Threaded Tee. Our offered extend of threaded thermo ware is designed from using precise quality metal and contemporary tools. For designing the provided range of threaded thermo wares, we focused on the complete quality and durability. Furthermore, our quality experts keenly examine the entire range to find out any possible defect. Our captured o-ring design is incorporated in the fixed tee for a superior seal and leak resistant fit. Supported by knowledgeable professionals, we are offering an extensive range of Threaded Tee. 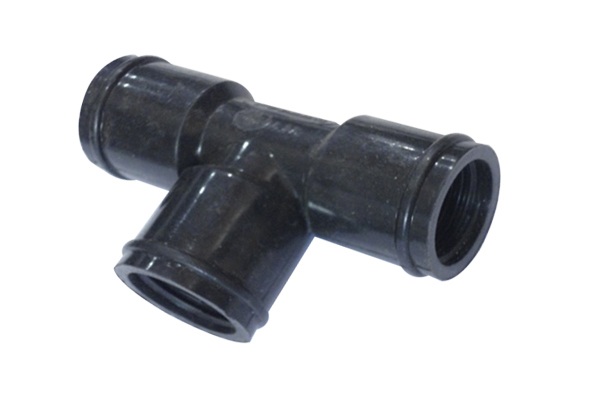 Three styles of Threaded Tee fittings are available to accommodate connection requirements. This tee is specially featured as the Smooth finish, Endurable finish standards, Simple installation and Sturdy in structure etc. Our offered extend of threaded thermo ware is designed from using precise quality metal and contemporary tools.